Don’t miss a visit to the charming palaces and their gardens in Brühl when visiting Cologne and Bonn on Rhine River. Getting here either by public transport or by car is really easy. Take the train Köln/Cologne – Bonn using the Deutsche Bahn AG (RB 48, RE 5) or the MittelrheinBahn train (MRB 26) all the way to Brühl station. From there, it is a five minutes’ walk to Augustusburg Palace. Starting from Cologne or Bonn, you can also take the tram 18 (KVB/SWB) to Brühl-Mitte and then continue about 800 metres walking to Augustusburg Palace. via Autobahn A 61 (Koblenz – Mönchengladbach) and all the way to Bliesheim. From there, continue via the A 553 until you reach the exit Brühl-Ost/Wesseling. Once within Brühl follow the signs to “Augustusburg”. 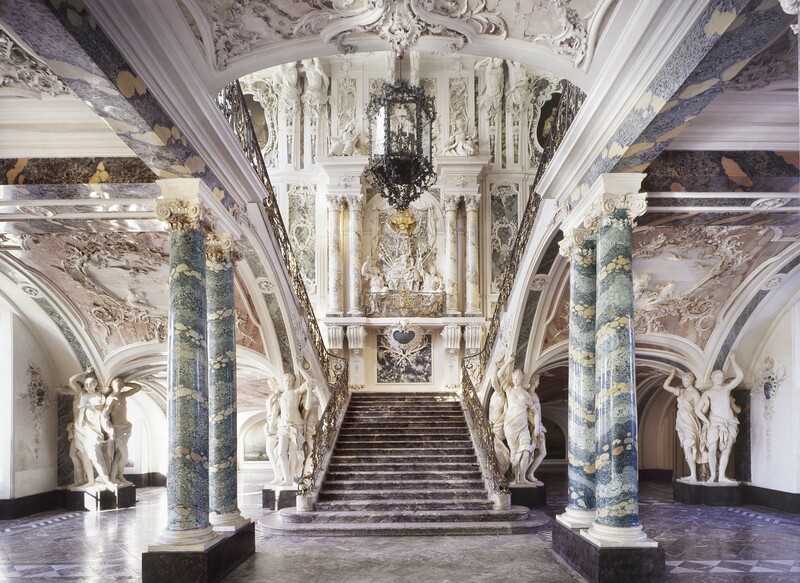 Just a short, enchanting stroll away from Augustusburg Palace, Falkenlust is located on the edge of a secluded grove. Take a walk through the picturesque French formal gardens via the central alley right into the forest. Turn left until you reach a wrought-iron gate; leave the forest following the alley to the hunting lodge Falkenlust. Arriving there by car, please follow the signs “Falkenlust” once within Brühl. There are plenty of parking facilities.